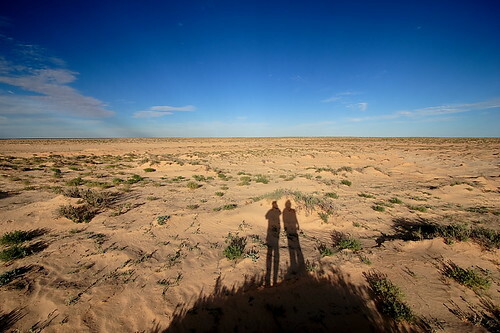 This magnificent and very remote area of outback Australia is a land of climatic extremes. Night Temps commonly fall below freezing whilst in the long summer season daytime temps can reach over 50 degrees. If you travel this landscape you need good preparation and knowledge. Interestingly, you don’t necessarily need a 4WD to drive from Lyndhurst to Innamincka (453km). The road is well maintained due to the local oil and gas fields. When you think about the world’s longest manmade structures, China and Great Britain spring to mind. Very rarely does the Australian continent get a mention, which is a shame, because the Dog Fence, or Dingo Fence, is one of the longest structures on earth, slicing across the heart of Australia’s desert. It stretches from the Great Australian Bight and ends in the foothills of Queensland’s Bunya Mountains. sheep-grazing lands. In the 1940s, the fences were joined together to form one continuous structure. 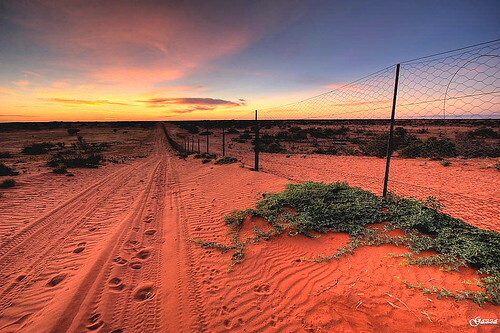 Until 1980, the Fence was a staggering 8614 kilometres long, but was then shortened to 5614 kilometres. The Border Fence is located one chain north of the New South Wales – Queensland Border. The Fence is now maintained by the Wild Dog Destruction Board, which employs boundary riders. 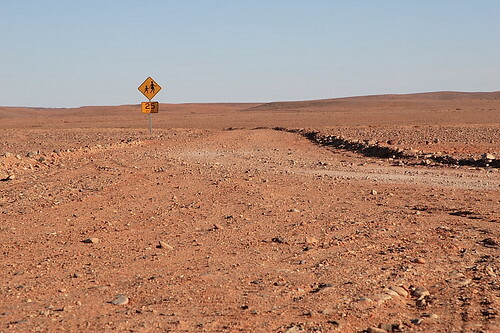 affected area a 100 kilometre stretch near Coober Pedy (yes, this is Mad Max country). The fence may have to be made higher and electrified along the top in the problem areas. Camels are pushing down the fence in search of water, although sometimes the problem comes from amorous males. This bore hole overflows into a series of dams and they attract literally thousands of birds – so be ready with your long lens early in the morning or around sunset. 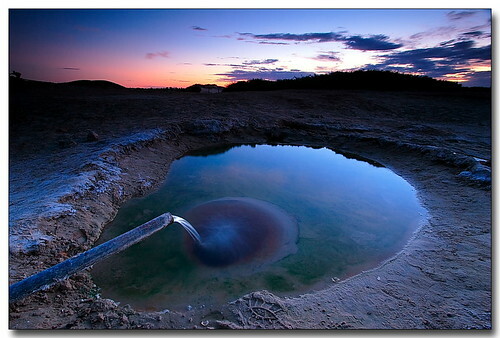 The most well-known and important groundwater source in Australia is the Great Artesian Basin. This is a vast groundwater source that underlies 22 per cent of Australia – extending beneath the arid and semi-arid regions of Queensland, the Northern Territory, South Australia and New South Wales. It covers about 1.7 million square kilometres, and contains an estimated 8700 million megalitres of water. Not surprisingly, it’s one of the largest artesian water basins in the world. The water is coming from a depth of up to 3 kilometres, and some of the water is believed to be up to two million years old. The average water temperature is between 30 and 50 degrees, but it can be as hot as 100 degrees Celsius. The Great Artesian Basin has always been an important source of water for many Outback communities. Unfortunately, much of the water that is extracted is also wasted. It is estimated that up to 80 per cent of the total outflow from the Great Artesian Basin is wasted. Derelict double-decker bus standing in the middle of a flat plain near Merti Merti in the Strzelecki Desert. This is declared a bush campground! Carry enough Fuel and Water and have a well prepared vehicle. Great guide. I was looking at this area on google maps when I got distracted writing one of my guides (for an area a long way away from this desert lol) a couple of days ago. 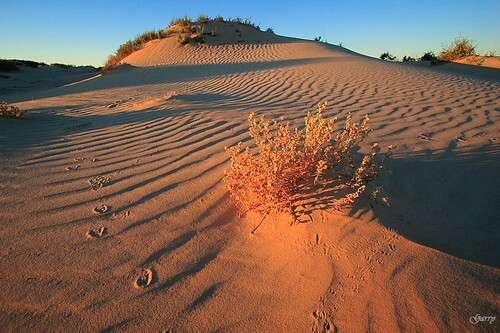 The dunes look amazing. The photo at the borehole is great. So you can access these areas without a 4WD on the main roads? Thanks Darren, yes you could do it as long as you stay on the track and drive with care. I would always use a 4WD in this country….but that’s me. Hi! — I’m sorry I can’t get in Australia right now because Italy is too far, but guy this guide is great! a curiosity: why “monte collina” that is an italian name (monte = mountain; collina = hill)? in any case.. goog job and waiting for further stunning guides! terrific — Terrific guide mate.. I’ll have to sweet talk my Sydney photographer friend into taking his city 4WD bush one day. Fascinating Stuff. Thank You. — Learning more about the family legacy down under. Thank you — Wow Garry, your photos are amazing. I just love those colours!!. I am going to have to put this spot on my Bucket list. You have a great sense of humour and your articles are so easy to read. Thank you for taking the time to share your knowledge about our wonderfully broad country.